US Central Command, which oversees American forces in the Gulf region, wants them prepared to defeat the Iranian fleet and shore artillery. They also want additional drone capabilities and mine swiping equipment to clear the Strait of Hormuz, should Iran act to set mines there as it threatened to, reports The Wall Street Journal. 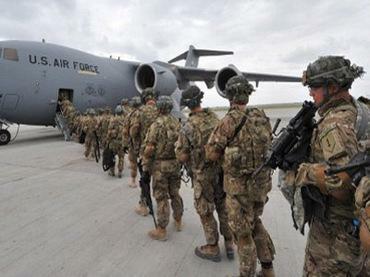 As part of the push, US spec-op team stationed in the United Arab Emirates has also been ordered to be prepared to take parting in military action in the region, the newspapers says citing defense sources. The unit is currently training elite forces of the UAE, Bahrain, Kuwait and other US allies in the region. The Pentagon submitted the request for extra funding on February 7, saying it is needed “bridge near-term capability gaps” in the Persian Gulf. The request is yet to be made officially public after lawmakers review it. It comes on top of changes made last summer that provided Central Command with about $200 million for additional upgrades, some of which could be used in areas outside the Gulf region. The earlier request asked money for a torpedo defense system, airborne anti-mine weapons and new cyber weapons. It was approved by the Congress. The Iranian Navy deploys relatively small fast-moving heavily armed vessels. US naval forces have been made to fight against larger targets and may lag in efficiency against Iranian, American military planners believe. To close the gap, US warships would need to be equipped with rapid-fire machine guns, anti-tank weapons and smaller caliber guns. The planned upgrade comes on top of the nearly $82 million program to improve the Massive Ordnance Penetrator, the largest bunker-buster bomb deployed by the Pentagon. The weapon may be used against Iranian fortified sites, but some experts believed the bomb would not be good enough to destroy those. Tension has been building rapidly over the months over Iranian controversial nuclear program. The US and its allies accuse Tehran of secretly developing a nuclear weapon under the guise of civilian research, an allegation the Islamic Republic denies. There is no conclusive proof of the allegation, and even US intelligence doubts Iranian nuclear ambitions. Nevertheless, the US and the EU issued sanctions against Iranian oil exports in a bid to put leverage on the country. There is speculation that Israel may launch an attack on Iranian military facilities in a pre-emptive strike. Tehran threatened to respond with military force against such an attack. It also said in case of a conflict it would block the Strait of Hormuz, through which some 20 per cent of all world’s traded crude passes.